Melusina Parkin amazes again with the purity of details. Amazing! 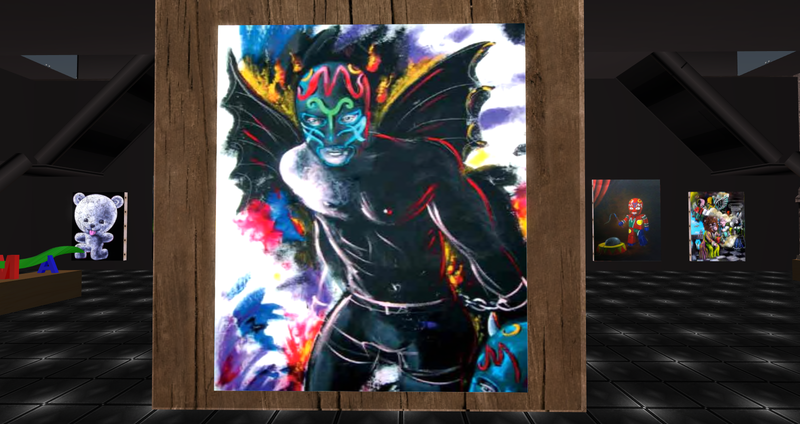 This exhibtion exposes a bit more as usually that Patrick Moya's work is not only pink and funny, but has dark sides too. 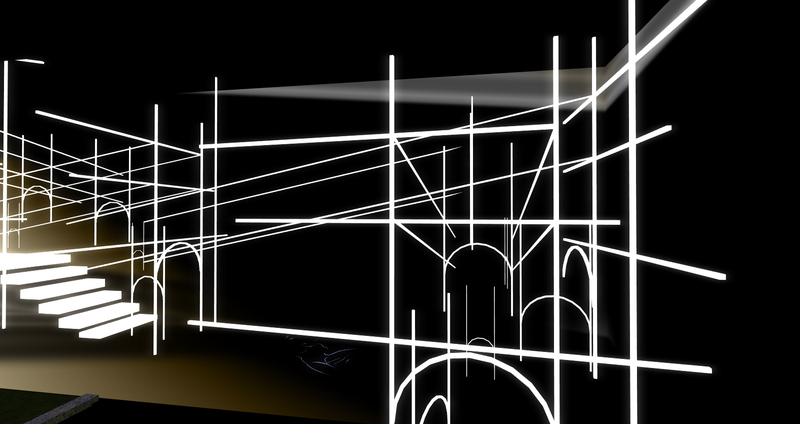 A fascinating gid of almost 15.000 prims. 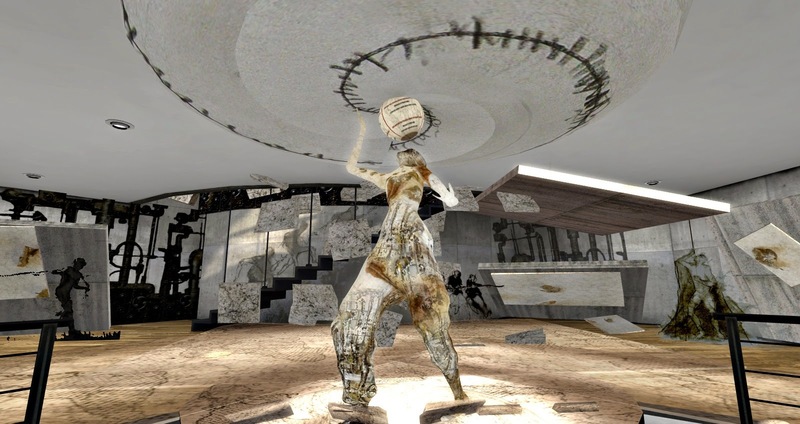 The name "Control Shift R" refers to a funstion in the SL viewer which makes the wirefram visible and this installation reminds of a wireframe. 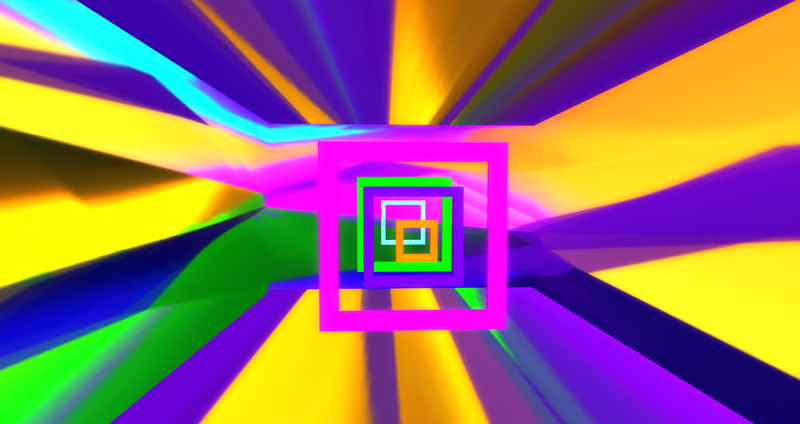 But the grid follows mathematical rules too. 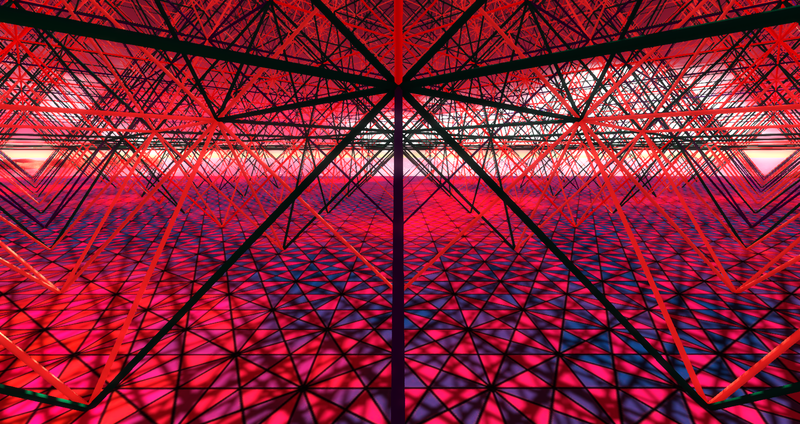 Frome the LEA Blog: "This 3D Wireframe Grid - the Isotropic Grid - extends in all directions to Infinity. Find the elevators on the ground that go up and down thru the whole structure." 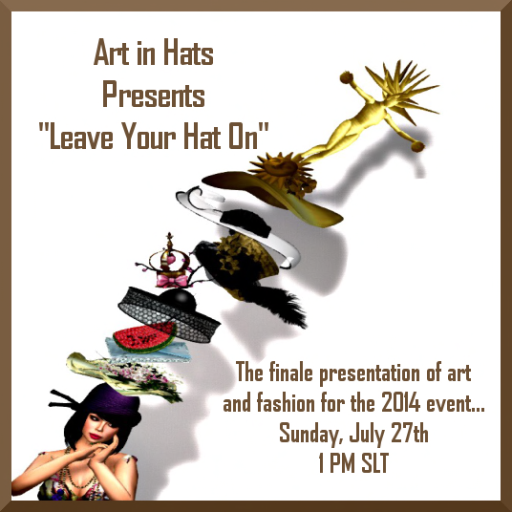 Event Today: Leave Your Hat On! With only a few days left, it's time to present the final dramatic showing of the Art in Hats displays presented this year. Before you know it, the auction hats will be sold, the artistic photos will be removed and the hats of the event will be forever gone. Come share one last formal presentation of these amazing creations and celebrate the best of art and fashion. 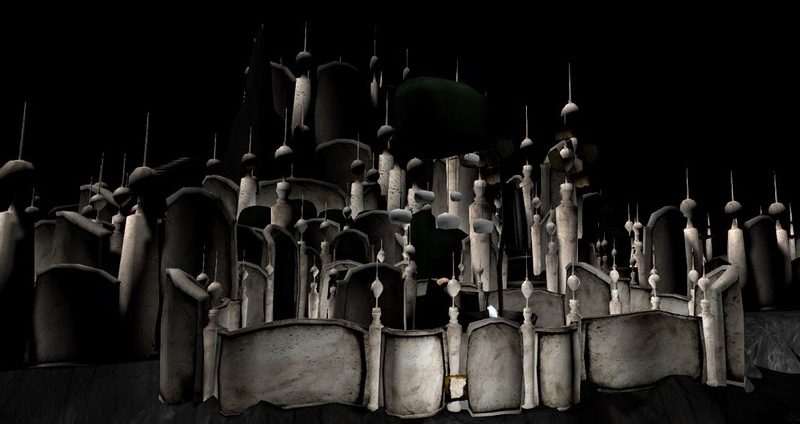 With 80 artists/designers and over 100 hats, this is the largest display of unique and beautiful hats in SL. Please feel welcome to join us and come see what will make this a fashion presentation, not just a fashion show! 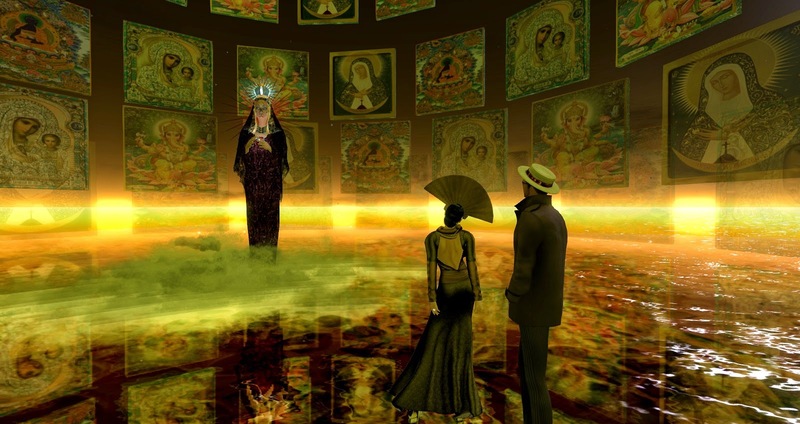 Today at 1 PM SLT Don't miss it! 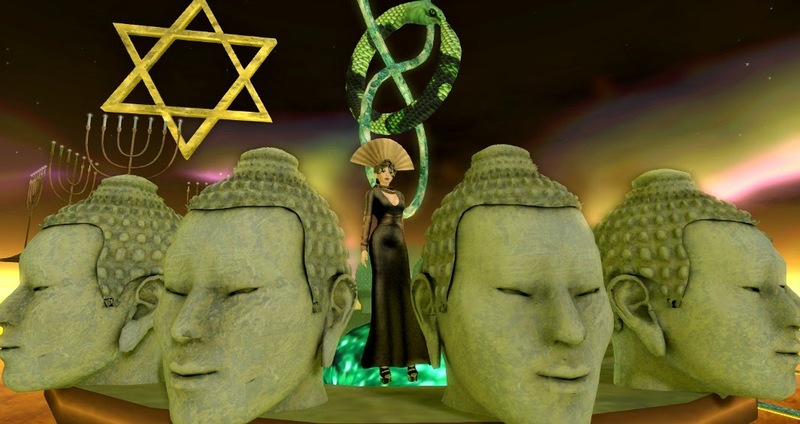 As usually Cherry Manga leaves meaning to the visitors in her latest installation "Faith" but on closer look it is obvious that her personal point of view regarding religions is more than critical. The Madonna scares with her face tattoos. 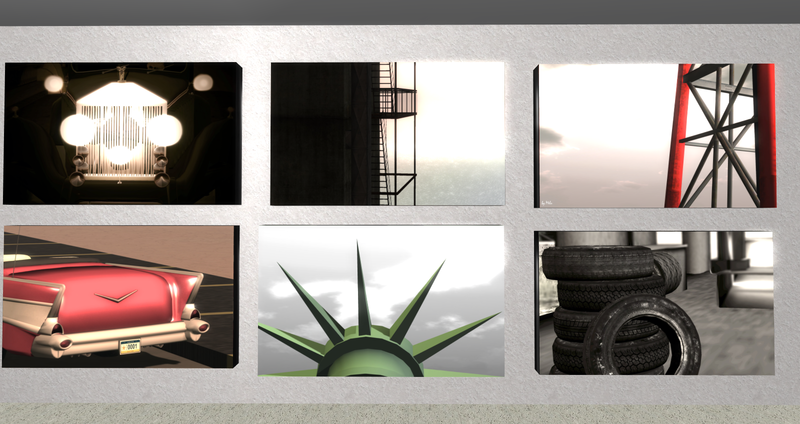 Scatters and my outfits by Lybra for "The month of Games" where the perefect match! What I really like with Haveit Neox is that he is always able to make the best use of a given space. Those who know my little gallery shop at Aakriti Arts will recognize the structure of the "Influence Art Gallery", which is very interesting but also dominant. WHY ARE YOU TEARING DOWN YOUR BEAUTIFUL HOME? I can do what I wish with what is mine. AND WHY ARE YOU TEARING DOWN THE PLANET AS WELL? You may be aware that I did not blog a lot the last few weeks. Apart from ART IN HATS there was holiday season and some exciting changes in RL but everything is going back to normal now. So, imagine today is one of the few extremely hot days in Germany. Too hot to go out. We closed all doors and windows. As most Germans I have no Air-Con as it is useless for the handful of really hot days here. I am sitting, sweating and thinking this Sunday afternoon is the perfect time for a blog post as I am sooo behind. Besides the hard working fan of the computer the only sound is of one of these awful fat flies that you only hear at these days. 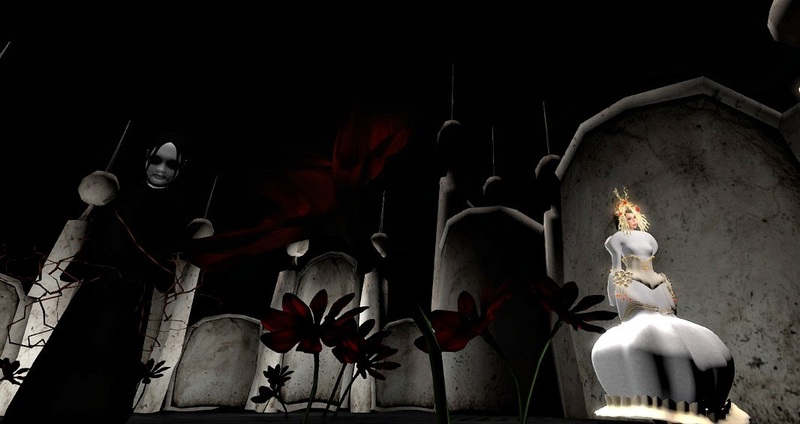 No one has gotten out ..."
Now it became dark in RL too and I still found no way out, but stumbled over many small, scary installations with some surprises....The fat fly is not the only nightmare. Highly recommended! Make sure to hear local sound and to click all. For the latest issue of the German UpToDate Magazine I wrote an article about ART I HATS myself. My second article is an interview with Natascha Randt. The whole magazine is worth to have a look! The legendary Bollywood Parties at Art India are missed by many, as well as by DJ Sunshine Szavanna me. We where thinking that ART IN HATS is a good reason to have another Bollywood event. So come as Indian Prince or Princess, as hippie or come as you are and get caught by the exotic and relaxing tunes of DJ Sunshine!. 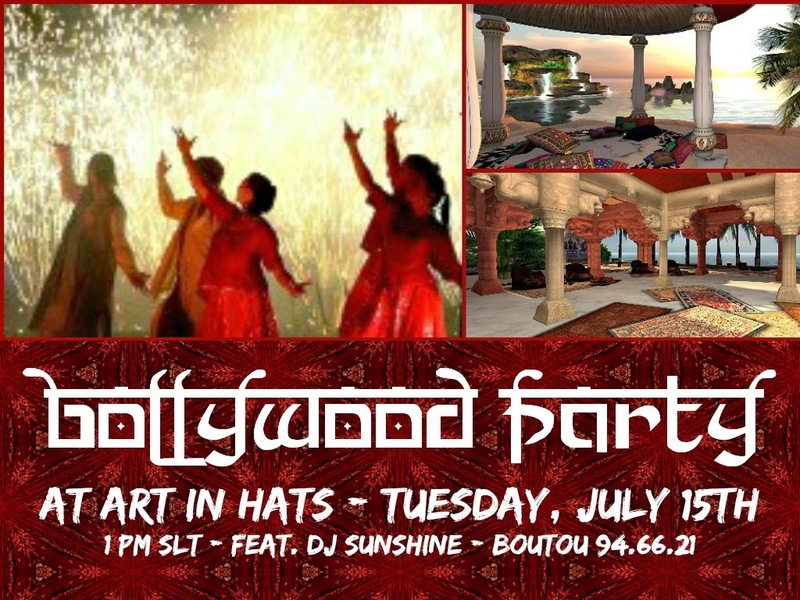 Bollywood Party, Today at 1 PM SLT! we have to face now and in the future. And Ultra's live concerts are a class on it's own. Rysan Fall: "I'm very excited and honored to win two separate prizes in the "Project Homeless" film contest in Australia. 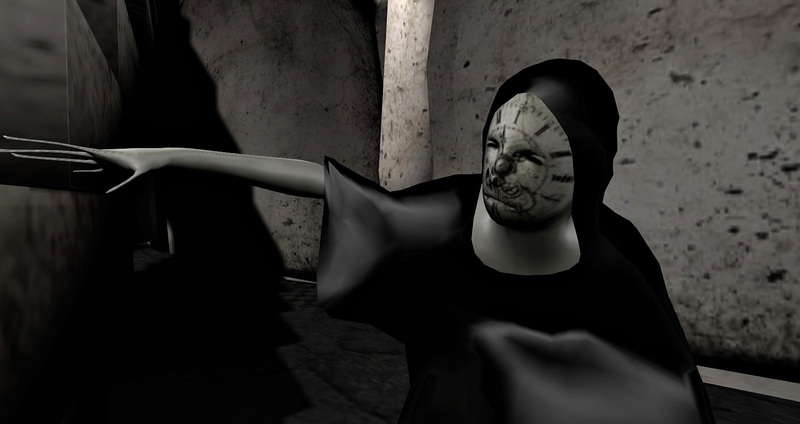 My film "The Invisible City" won first place in the machinima competition and 3rd place in the mainstream competition. I am proud to be part of this very worthwhile and meaningful film contest." 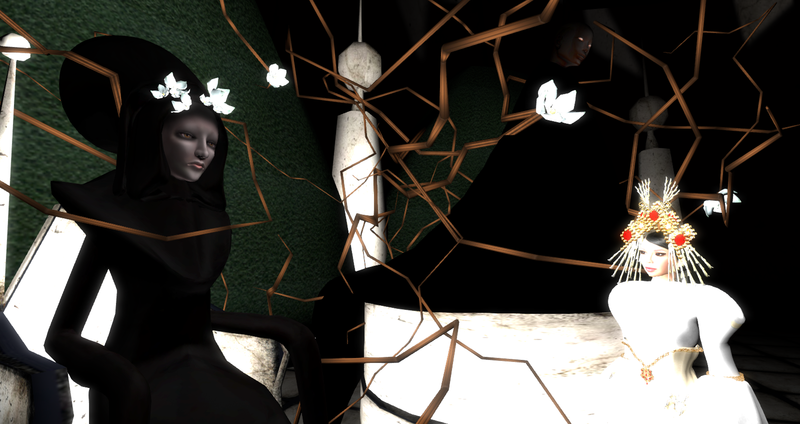 The machinima is touching and though provoking. Congrats, Rysan! Let me add some more news in machinima. Hypathia Pickens created a dark fairytale: "The Tale of Machaire and Canace" Written by John Gower, the tale is based upon Canace's farewell letter to her brother Macareus in Ovid's "Heroides", where Canace recounts her plight: she fell in love with her brother and had a child by him. 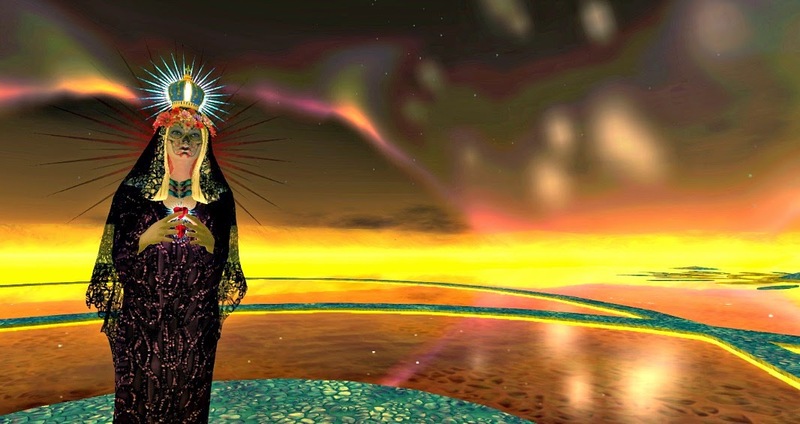 Her brother fled, and her father Æolus, full of wrath when he learned about her pregnancy, ordered her to kill herself and the child to be taken to the woods. 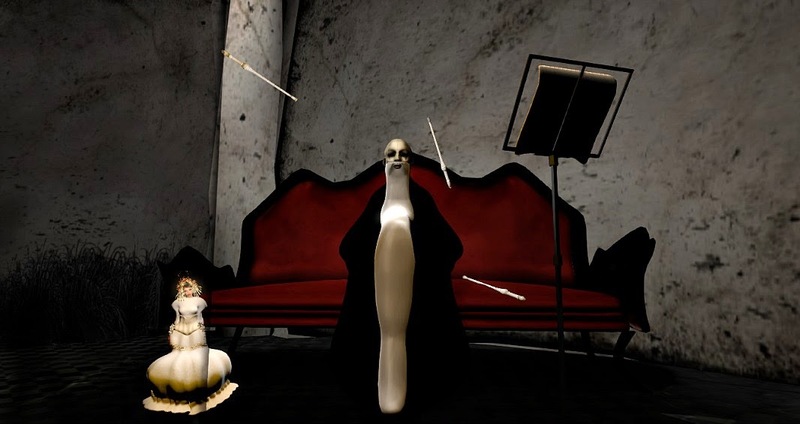 Wizardoz Chrome made a machinima based in 10 stories written in Italian by 10 artists in Second Life about cases found in an asylum. The title means translated "....Like A Travel"
Asylum suitcase Kickstarter project from Peter Carroll on Vimeo. To bad that the stories written for SL aren't translated. It is a great project. Big Event at Art in Hats Today! Art in Hats is not just Hats. 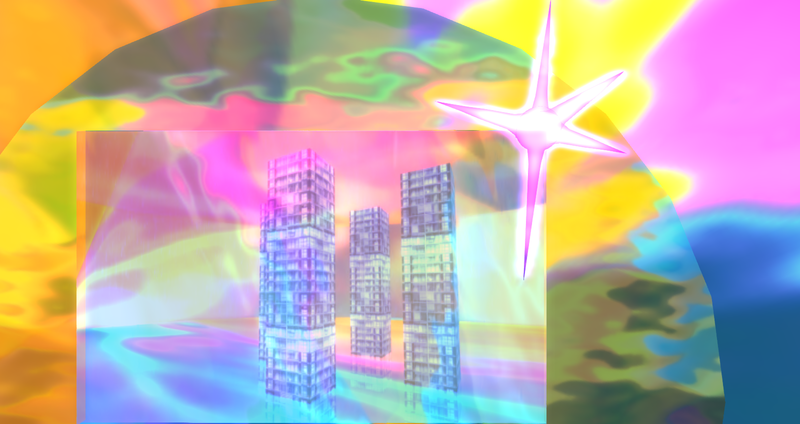 You can be invited to some djsets, lives performances, show, and some other things. But also, you can help some children in Kenya with Feed A Smile. 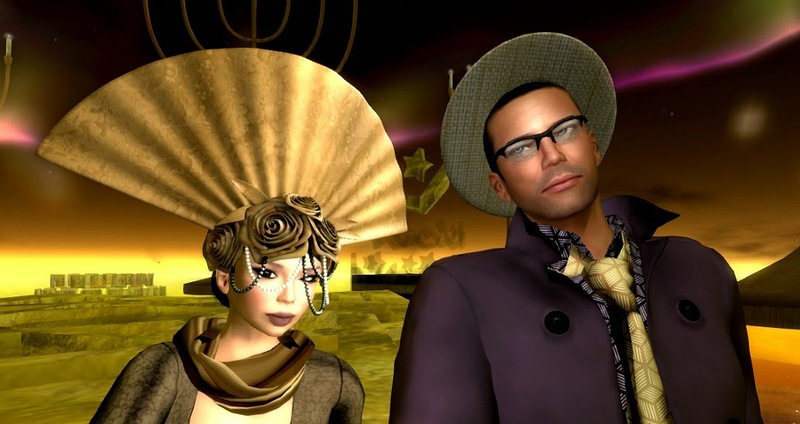 Feed a Smile in Second Life is celebrating its 4th anniversary. 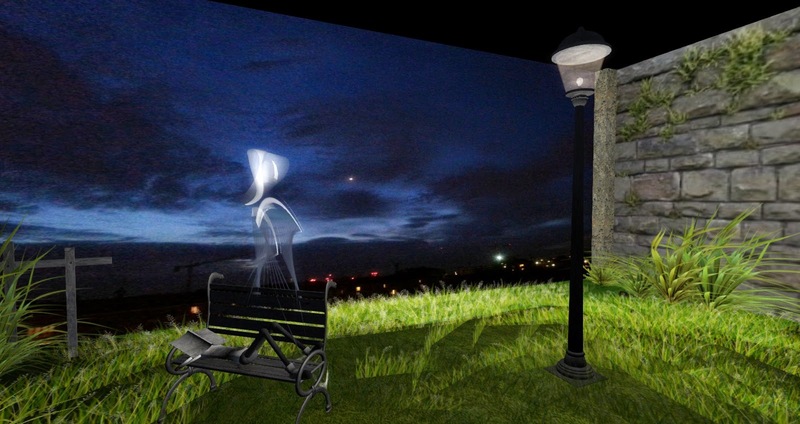 To celebrate it, Feed a Smile organizes an intergrid event! And... we are proud to invite you to take part on it!